Zhang will assume the post Aug. 22, IMF Managing Director Christine Lagarde said. Zhang “brings a strong combination of international economic expertise, public sector policymaking, and diplomatic skills. He also has extensive experience with international financial institutions, excellent communication and negotiating skills, and a superb knowledge of IMF policies and procedures,” Lagarde said in a statement. Zhang is no stranger to the IMF. He served on the organization’s executive board from September 2011 until early 2015. In 2014, he was one of two UC Santa Cruz international economics graduates among the 24 IMF executive directors. Zhang represented China. The other UCSC grad, Alvaro Rojas, who earned his Ph.D. in international economics in 2004, represented Argentina, Bolivia, Chile, Paraguay, Peru and Uruguay. Rojas credited UC Santa Cruz’s graduate program for preparing students for top-level careers in international economics. “The fact that two UCSC graduates of the Ph.D. program in international economics coincided as executive directors is proof of the success the program had in terms of preparing its graduate students to assume the highest responsibilities representing our countries or regions at international organizations, such as the IMF,” Rojas said. Another UCSC international economics Ph.D. graduate, Andréa Maechler, who has also worked with the IMF, currently sits on the governing board of Switzerland’s national bank, the first woman to do so. Zhang’s appointment was widely anticipated when he was named deputy governor of the People’s Bank of China in May. Zhang becomes the second Chinese national to hold the deputy managing director’s post, following his predecessor Zhu Min, who steps down later this month. Chinese media reported Zhang has been a strong force behind China's successful push to include the Chinese yuan in the IMF's Special Drawing Rights currency basket. Zhang is also known for helping China win a greater share of voting rights in the IMF. Last year, Zhang helped write China's first-ever policy on regulating the online finance industry–a policy implemented last July by the central bank and nine other central government departments. The policy has served as a framework for regulating online payment, peer-to-peer lending, and crowdfunding services. 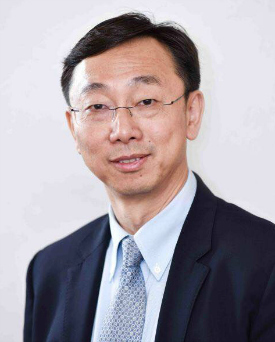 Before his most recent appointment, Zhang served as director general of the Legal Affairs Department at the People's Bank of China. Before joining the People’s Bank in 2004 he held positions at the World Bank and the Asian Development Bank as a senior economist.